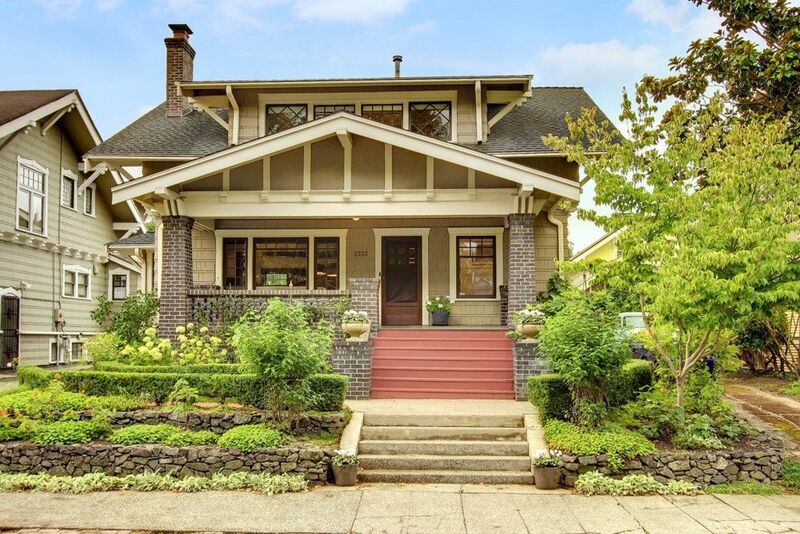 Located in the Mount Baker neighborhood of Seattle, this charming home listed on Redfin dates all the way back to 1913. That makes it over 100 years old, and it's just as charming a residence now as it was more than a century ago! From the street, it's easy to see why this home is considered one of the gems of the area. Tapered brick columns, knee braces and plenty of paned windows give the exterior of the house lots of Craftsman appeal. 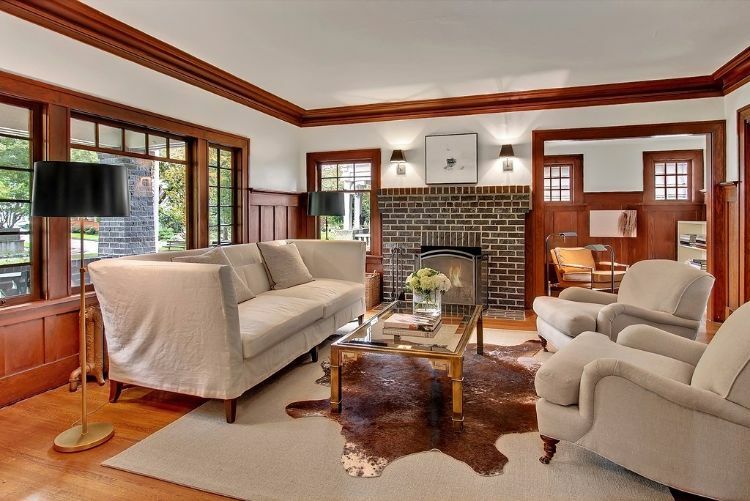 In the living room, the back wall is dominated by a large brick fireplace. The wood trim around the ceiling and the windows has not been painted, contributing greatly to the authentic Craftsman feel of the room. 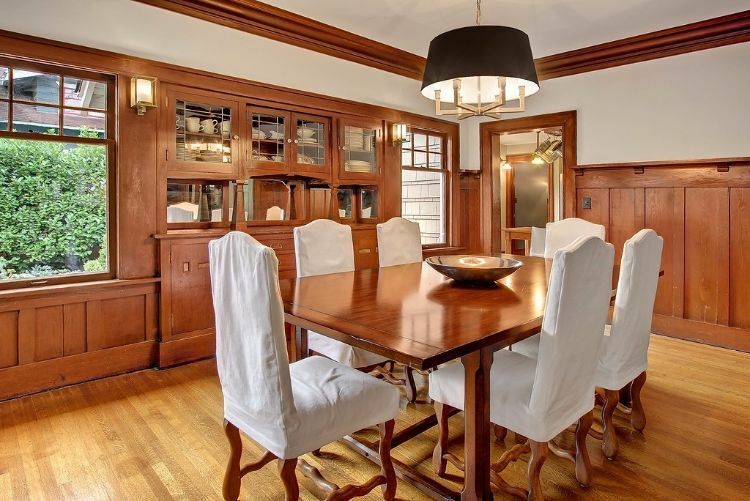 The formal dining room features unpainted wainscoting, plenty more wood trim and a large built-in dining buffet. Two large windows let in ample natural light. Located just off the dining room, this cozy little nook is the perfect place to retreat for an after-dinner drink or a game of cards. 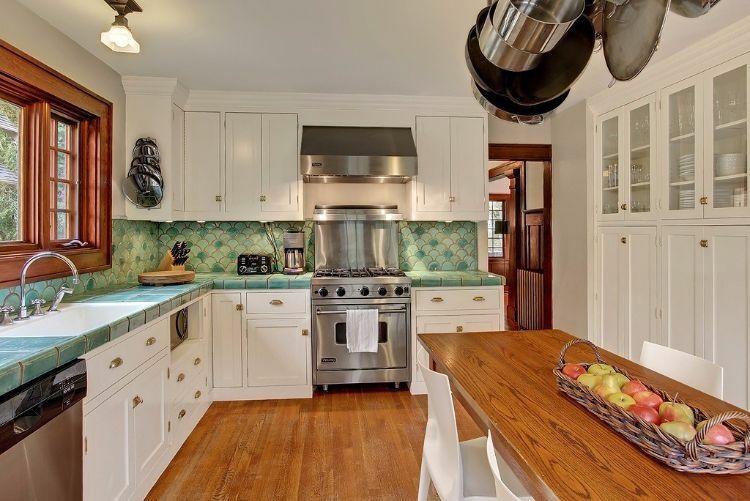 In the kitchen, the otherwise-neutral color scheme is brightened by the green scalloped tiles. This room has plenty of cupboard space, including a large built-in cabinet. Behind the breakfast table, a gorgeous set of French doors leads to the backyard. 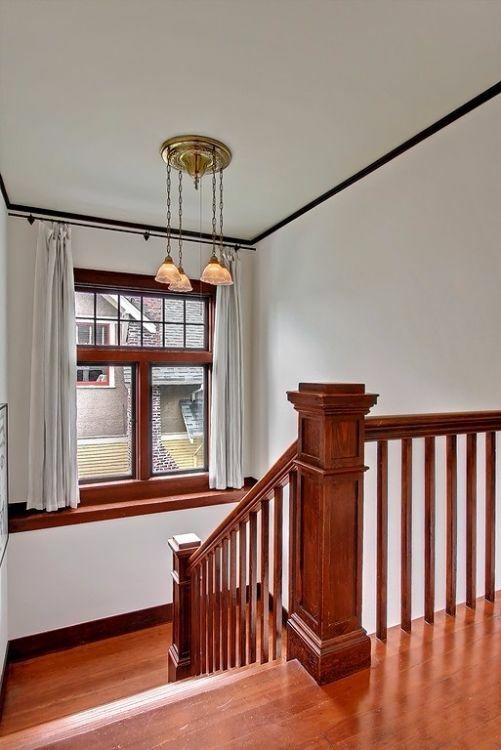 The railings of the staircase remain unpainted, and a lovely window on the landing fills the space with plenty of natural light. 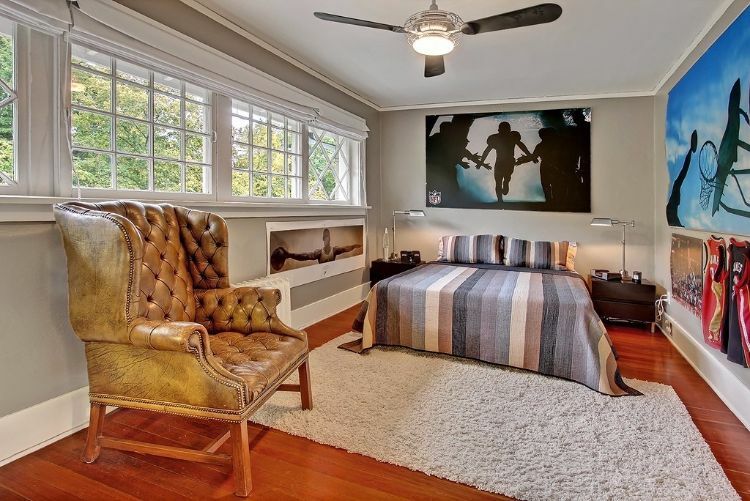 Here we have one of the home's four bedrooms, all of which feature hardwood floors. Note the charming paned windows along the wall! 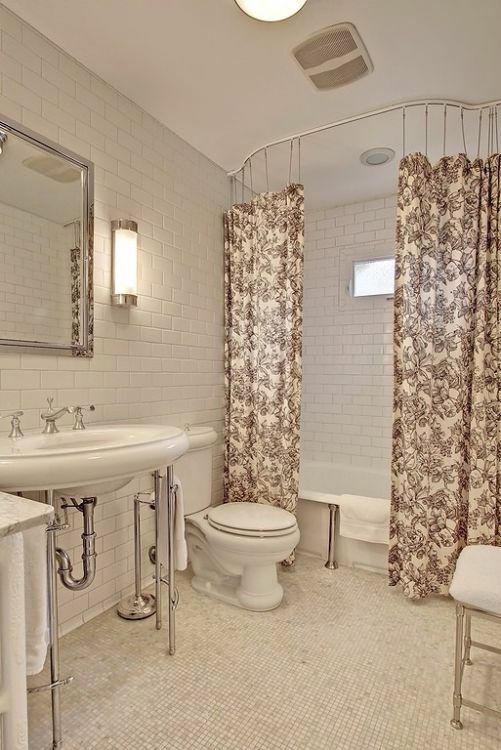 This luxurious bathroom has been redone in a refreshingly pale color palette. 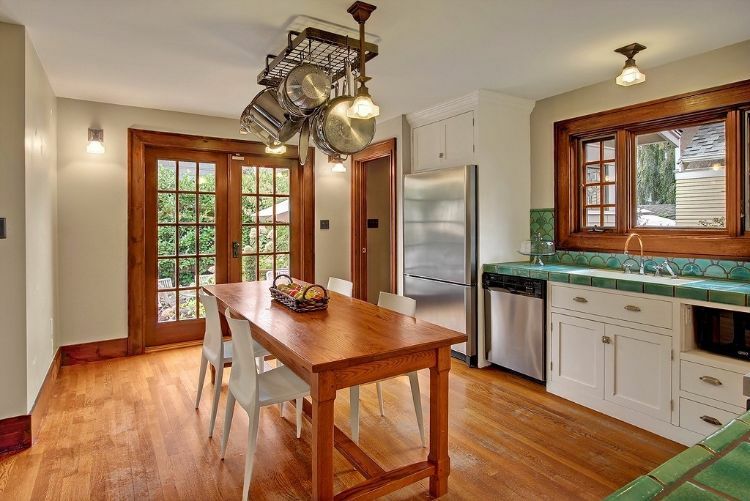 It has new light fixtures and appliances, but it retains plenty of Craftsman charm thanks to high ceilings and painted brick walls. 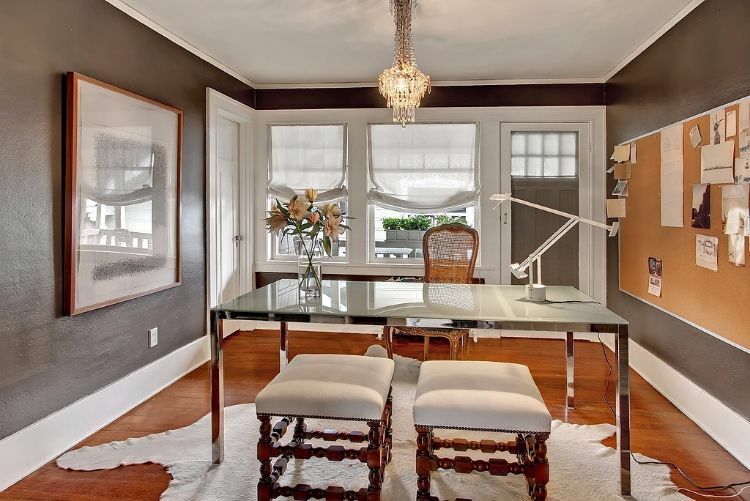 This gorgeous office would make it easy to get work done. An elegant chandelier hangs over the desk, and a partially paned door on the back wall opens onto the deck outside. 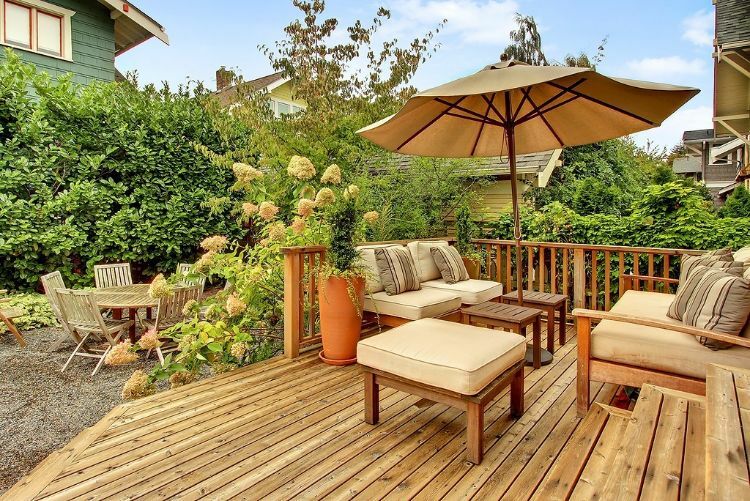 Out back, an expansive wooden patio provides the perfect private space to relax on a hot summer's day. 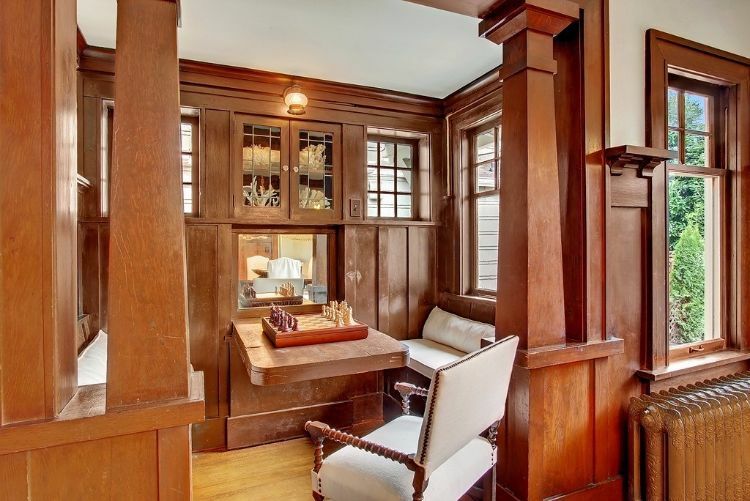 Are you as impressed by this Craftsman gem as we were? Let us know in the comments on Facebook, and be sure to share this article with your friends if you loved it!